I attended the 2010 Ann Arbor Quilt Show today with my hubby, who I think enjoyed it every bit as much as I did. It was held on the campus of Washtenaw Community College. The quilts included in this slide show caught my eye… I’m sure they’ll catch yours as well. At this time, I don’t know who won viewer’s choice… If I can find out, I will add it when I do. Hope you enjoy this slideshow. You can pause on any slide to study it more or read the information cards that are provided. Looks like it was a great show – sorry I missed it! This is one of those times I wish I could clone myself… I spent time with my 2 year old grandson atthe children's museum. I would have loved to have gone to this event. 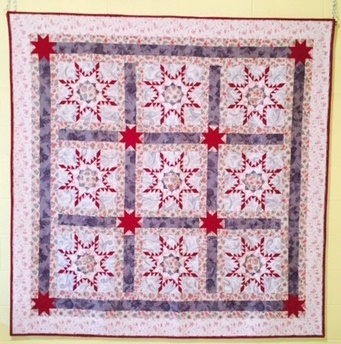 There will always be other quilt shows but my grandson will only be two once. Thanks for the slide show… loved it.